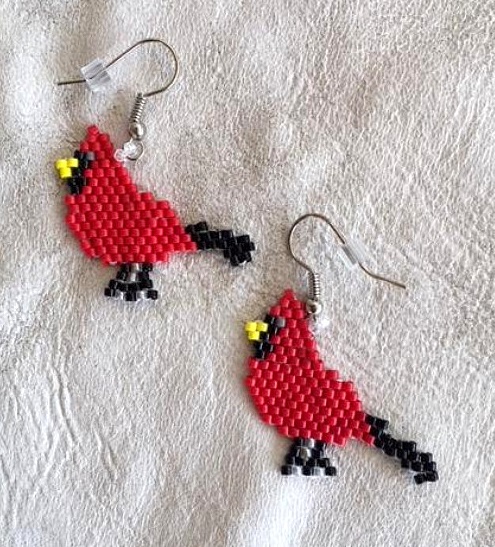 These cute little CARDINAL earrings are hand beaded by Dorothy Ance Webb of the Laguna people. She uses a brick stitch pattern & Delica beads. Cardinals are monogamous birds whose relationships with their spouses are harmonious, romantic and musical. The male & female sing duets, calling similar songs to each other. To the Native American, cardinal medicine symbolizes successful relationships, courtship & monogamy. 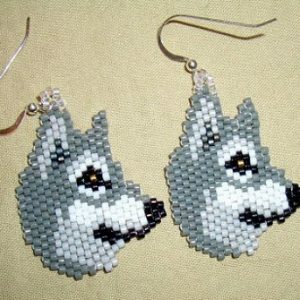 These earrings are attached to silver plated ear wires with silicone backing. However, these can be changed to clips or posts by request. Simply make request during check out in comments box. 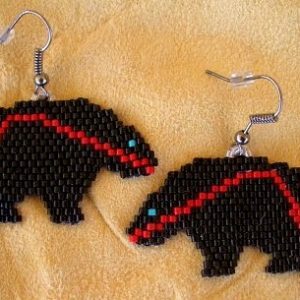 These earrings measure about 1.25 inches tall by 1 inche wide. 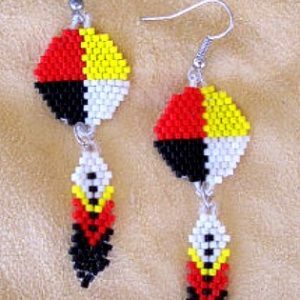 CherokeeVisions is proud to present beading artist Dorothy Ance Webb, a retired archaeologist of Laguna Pueblo, Chippewa-Ottawa and Winnebago tribal affiliates. Dorothy is of the Laguna people & grew up on the Navajo reservation in New Mexico. She is also a published book author. 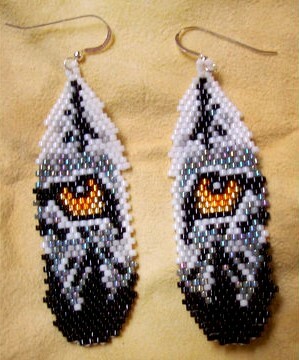 She has been beading for the last 10+ years.